We're all about the data at Acumen - so we decided to turn the lens on ourselves to see how our teams measured up. 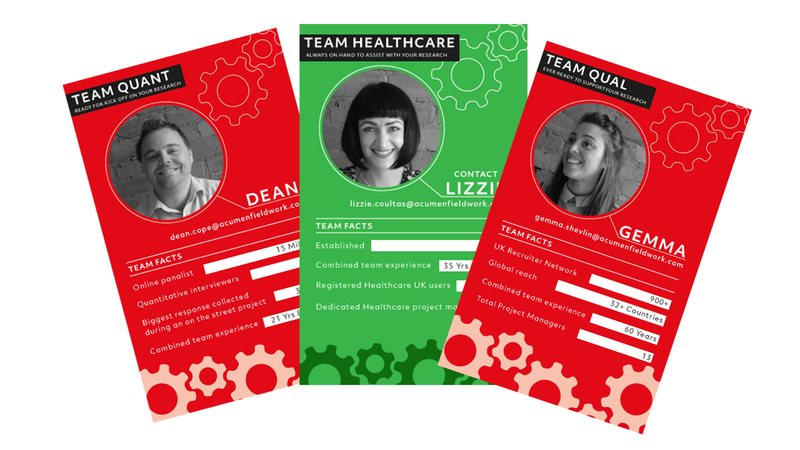 Timed to coincide with the World Cup, our 'players cards' show how each of our teams hold their own in the world of research. First up is Team Qual! 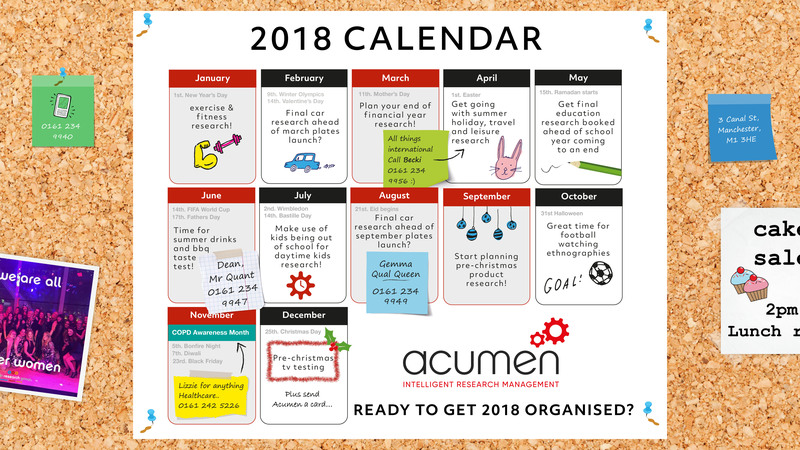 Headed up by Gemma Shevlin our team consist of an impressive 13 fieldwork managers and have a combined experience of over 60 years in market research. More than enough to ensure that your fieldwork gets off to an impressive start. To speak to us about our qualitative services, contact Gemma Shevlin. Not to be outdone, here's Team Quant! Our Quant team is led by Dean Cope who oversees a network of over 700 interviewers throughout the UK. These numbers are what has allowed the team to respond to complex, large scale research with an impressive 320,000 responses recorded in one single project. For more information on what our team can offer, contact Dean Cope. For all your healthcare needs we've got a team who are more than adequately equipped with access to over 70,000 healthcare users in the UK. Although the team was only established in 2006 they've scored an impressive 35 years experience combined between their team of 6. For more information on their capabilities contact Lizzie Coultas.